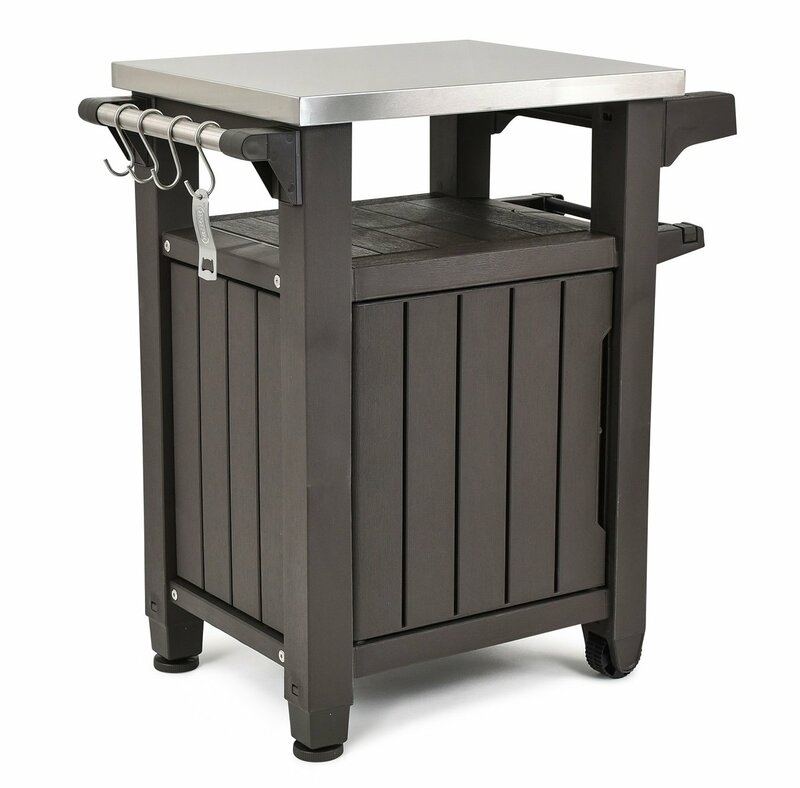 Finding the perfect gift for the outdoor cooking lover in your life can be such a challenge. In this list, you’ll find unique grilling and barbecue related gifts under $100 that will impress your loved ones without breaking the bank. 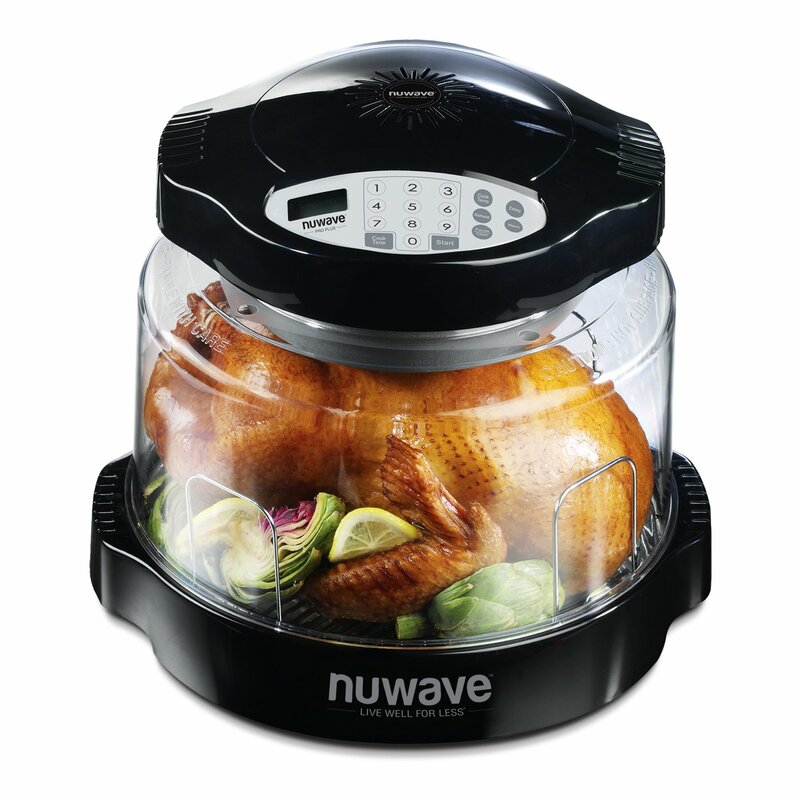 This is a compact conduction, convection, and infrared oven that easily fits on your kitchen counter and cooks fantastic meals. A perfect gift for grilling fish, grilling vegetables, and meats. Planks measure 6″ wide, a half-inch wider than others. 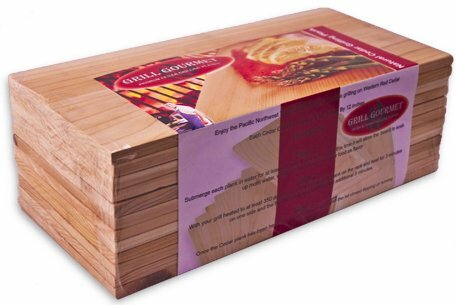 They hold plenty of food, fit atop any grill, even double as serving boards! The product is highly attractive with pure and natural wooden texture. It has an amazing storage capacity of 40 gallons. The serving space at the top is made up of stainless steel. It is easily lockable for safe storage. BBQ without charcoal is certainly impossible. 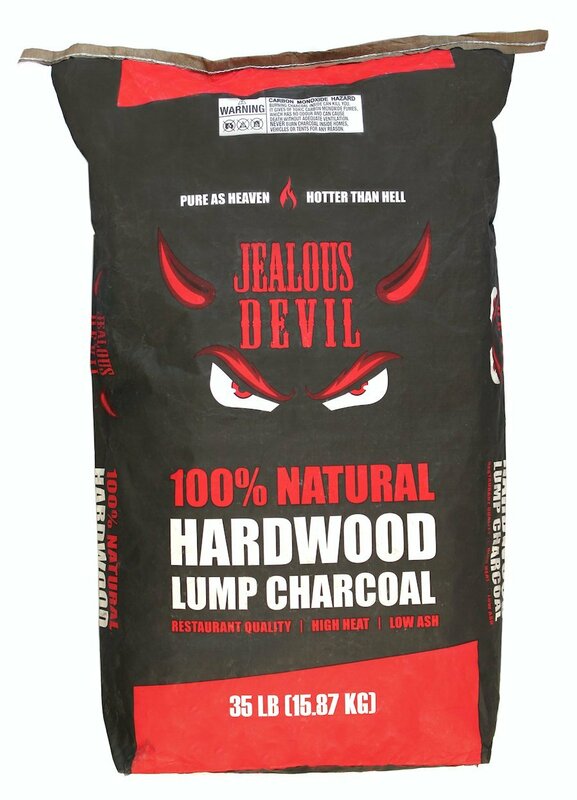 You can mix and match this product easily with any charcoal grill to gift your husband. 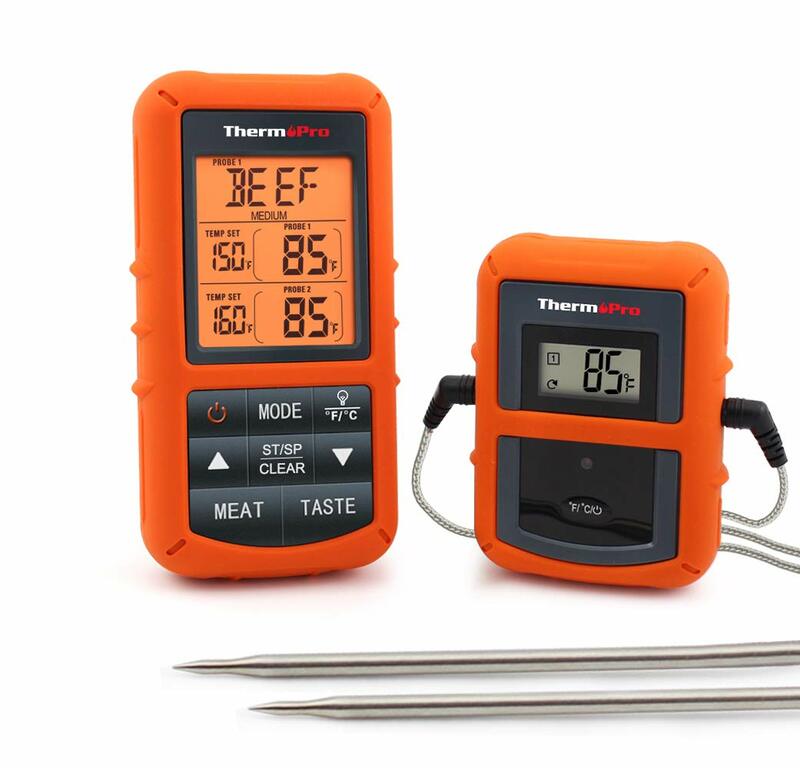 This device is very easily programmable and water proof, supports two probes for monitoring grill or food temperature. The line of sight range is approximately 300 ft. away The large displays along with the backlight makes it clear and easy to read. Pefect for keep your grill clean, also safe for pocelain, ceramic and steel. 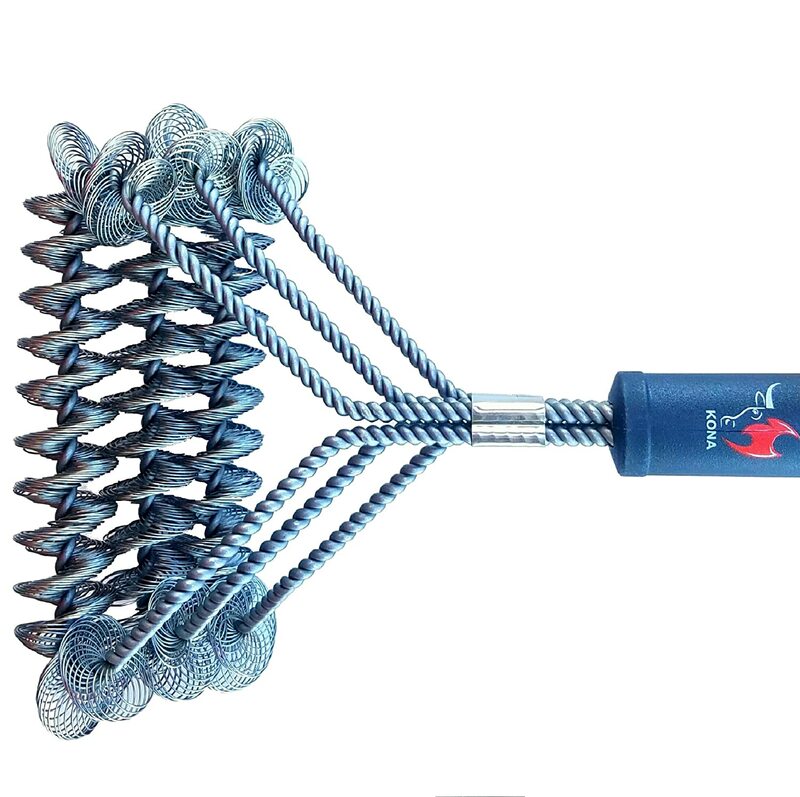 This grill bush has no sharp edges, and no need to worry about metal bristles falling out. These gloves can handle temperatures up to 932 degrees. 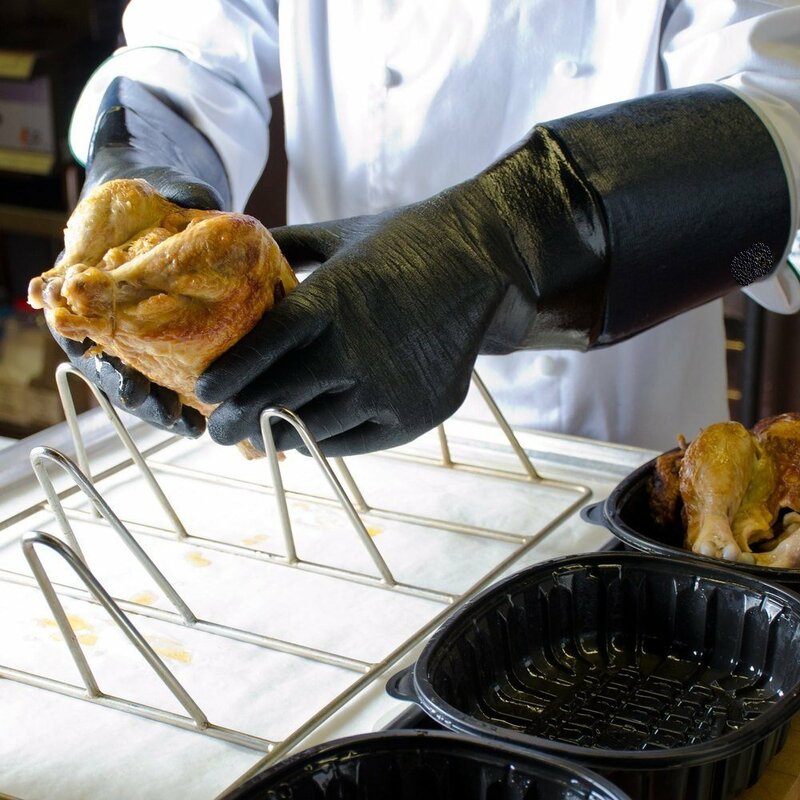 They have an insulated textured palm non-slip five finger design so you can manage wet or greasy meat in your smoker or bbq and make pulled pork like the pros!